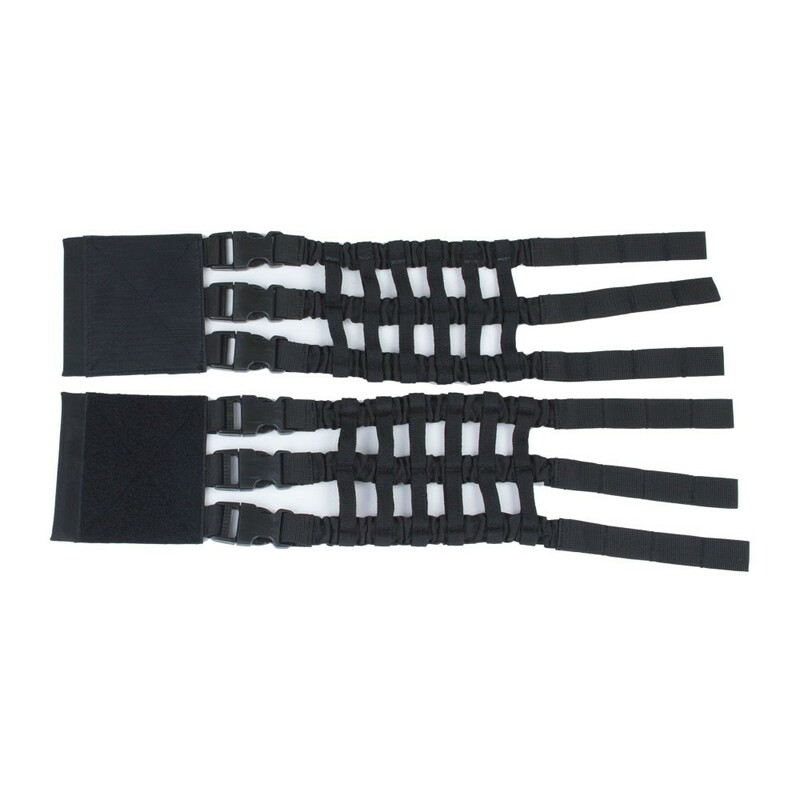 Elastic cummerbund for the plate carrier Perun 3 Black - removable elements that provide comfortable and reliable fixation of the Plate Carrier in the optimum position relative to the body of the user. 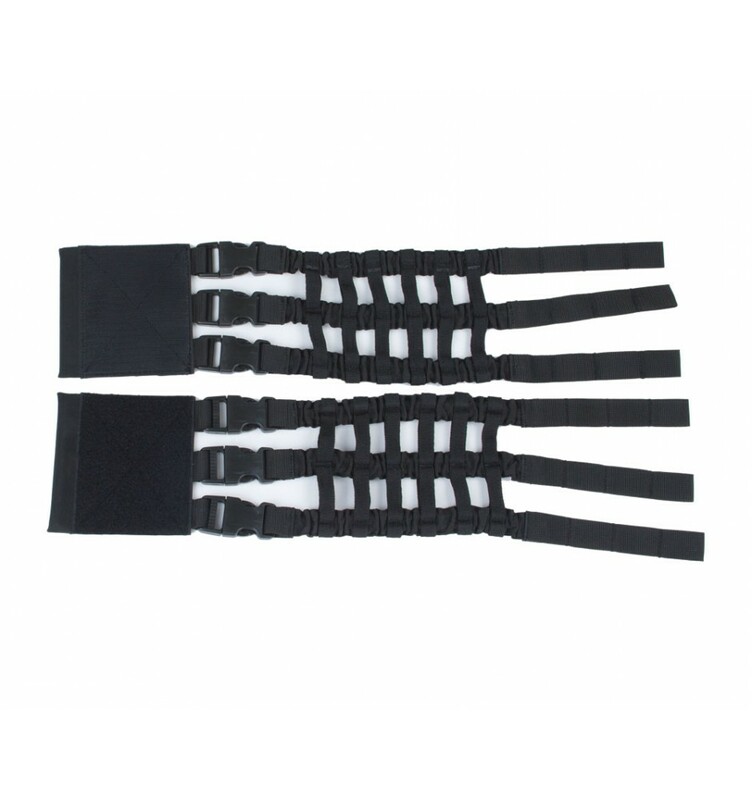 The cummerbund's frame is made from of three series of interconnected elastic tapes that are compatible with the universal mounting system MOLLE (for convenient placement of additional tactical equipment). Cummerbund for the Perun 3 plate carrier are equipped with buckles of the type "fastecs", which provide the opportunity for fast dressing and resetting of a slab with respect to noise discipline. Elastic Cummerbunds for the Perun 3, which can be bought at our advantageous price from the manufacturer in our online store, with a good ratio of comfort and functionality, worthy of consumer qualities! • Used with Plate Carrier Perun 3. • Made from an elastic frame compatible with the system MOLLE, which provides reliable fixing of additional tactical equipment. • The product has an effective system for adjusting the volume of the Perun 3 with regard to the individual features of the user (10 positions). • Materials - the main fabric - Cordura® 500D; accessories (manufacturer - 2M, Italy); Velcro® textile fasteners (manufacturer - Alfatex, Belgium). • Additional material handling - IRR (camouflaging tactical equipment in the infrared spectrum); DWR (prevents the impregnation of the main material with moisture, oil).